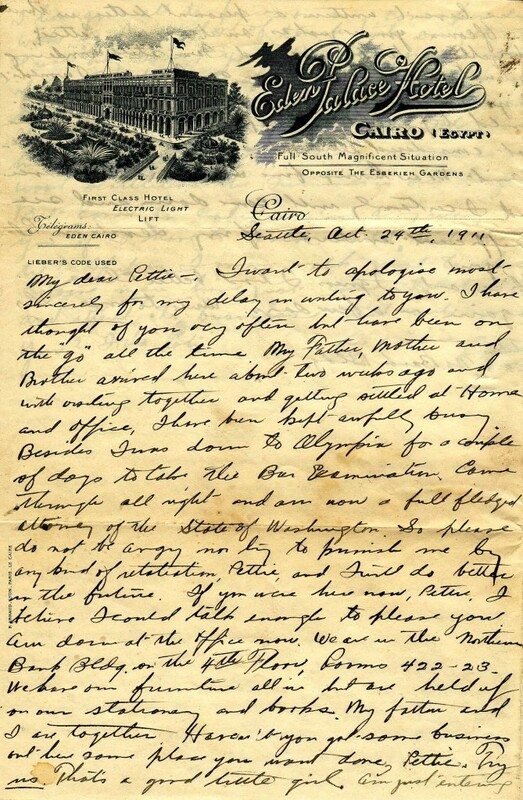 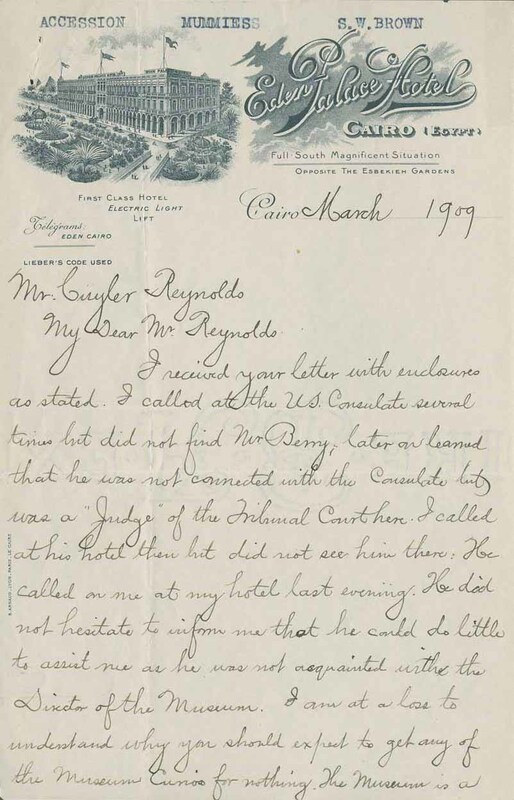 Unreasonable if you think about it, but you somehow expect a handwritten document penned a century ago to offer a little insight into how greatly different life was back then. 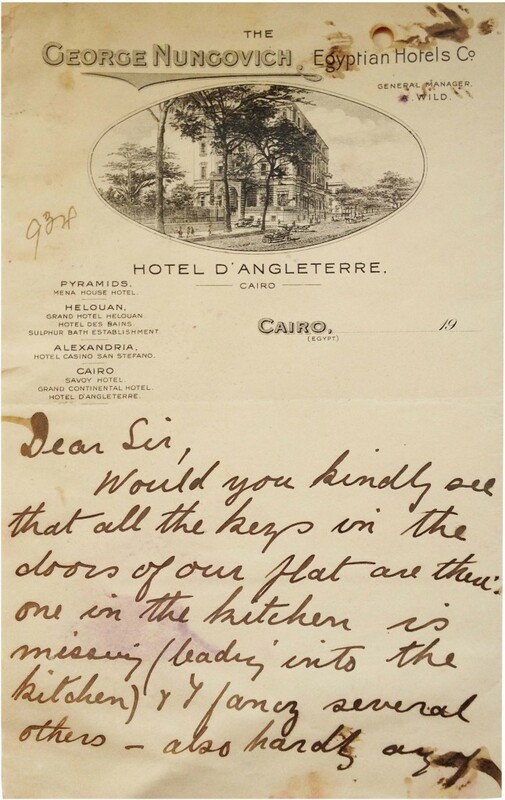 The letter above, written in the first decade of the last century, just complains about a missing key. What is evocative of another era though is the hotel’s illustrated notepaper, which is just gorgeous (click to enlarge). 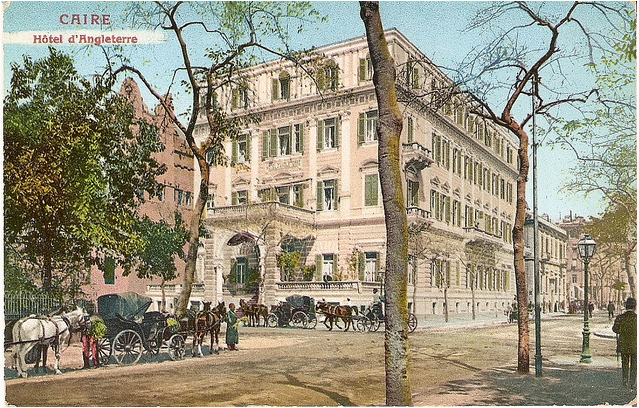 The hotel in question, the Angleterre, originally stood on the northeast corner of Cairo’s Azbakiya Gardens, but this is its second incarnation, after it had been relocated to premises on Maghrabi Street (now Adly Street), next door to the Turf Club and the site on which the local Jewish community would shortly raise the Shaar Hashamaim synagogue. 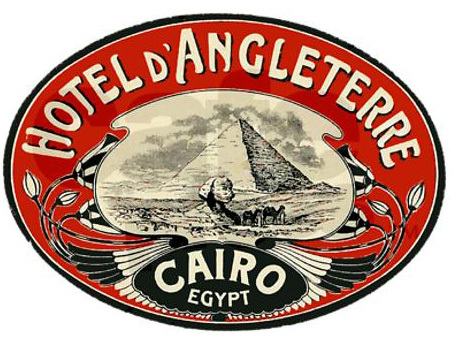 The proprietor of the Angleterre was a Greek-Cypriot from Limassol named George Nungovich. 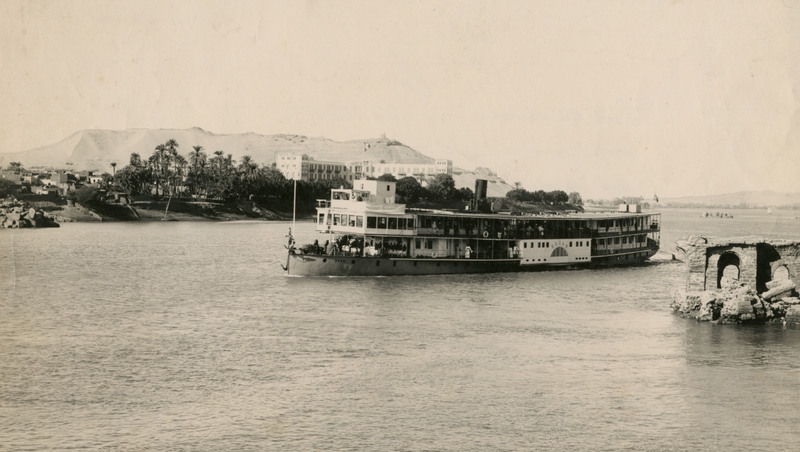 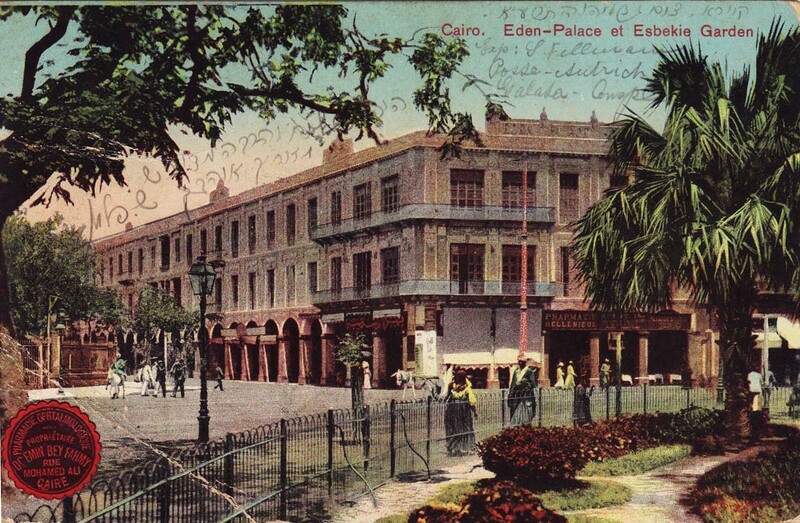 His name is all but forgotten these days but he was one of Egypt’s greatest hoteliers, a man who embodied the glamour and get-rich-quick spirit of Cairo as it hustled from the 19th into the 20th century. 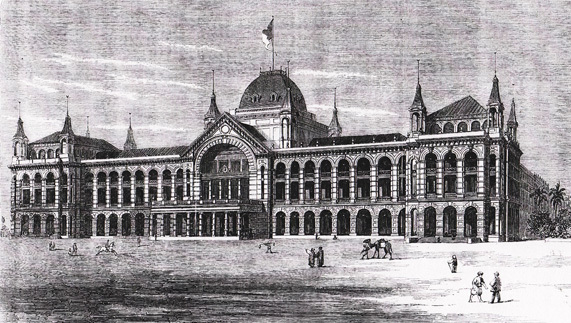 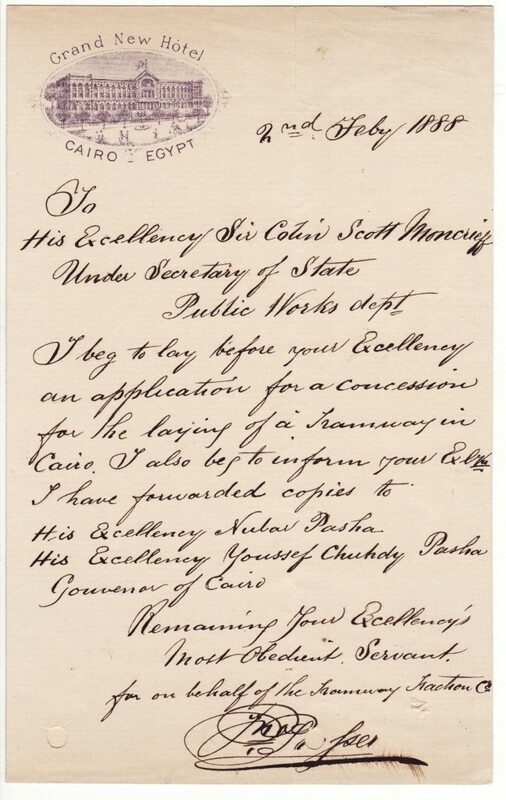 Nungovich arrived penniless in Egypt in 1870, aged fourteen, but by the end of the century he was said to be worth over a million pounds sterling. 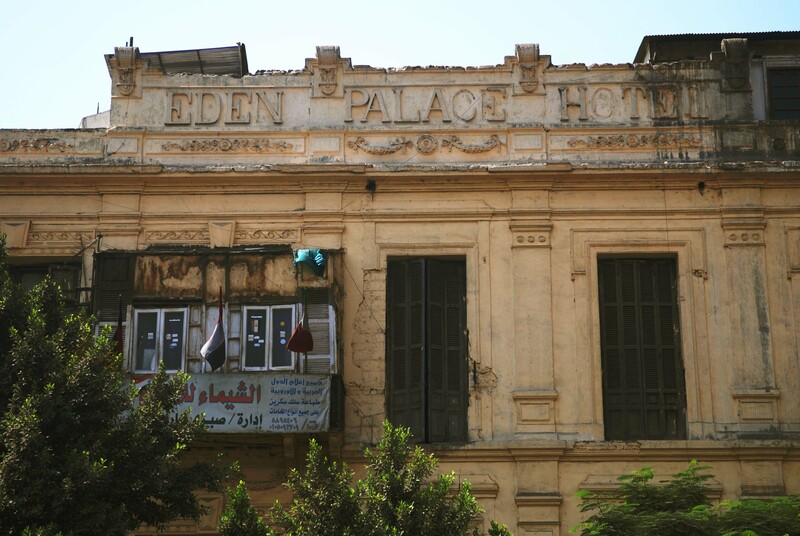 His entry into business came courtesy of the British Army, which was then campaigning in Sudan. 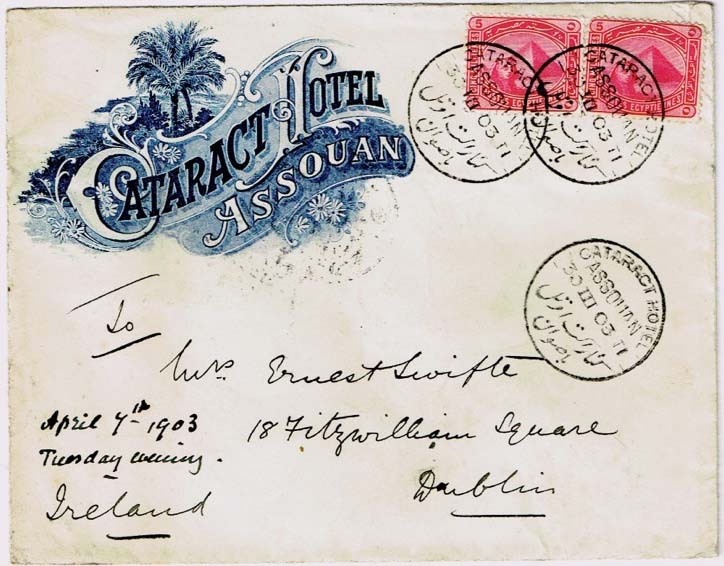 He was engaged in the ofﬁcers’ mess of a Highland regiment and was so successful he returned to Cairo in the late 1880s with enough money to purchase the lease of the Hotel d’Angleterre. 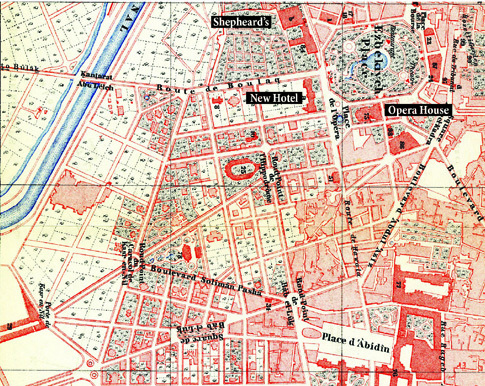 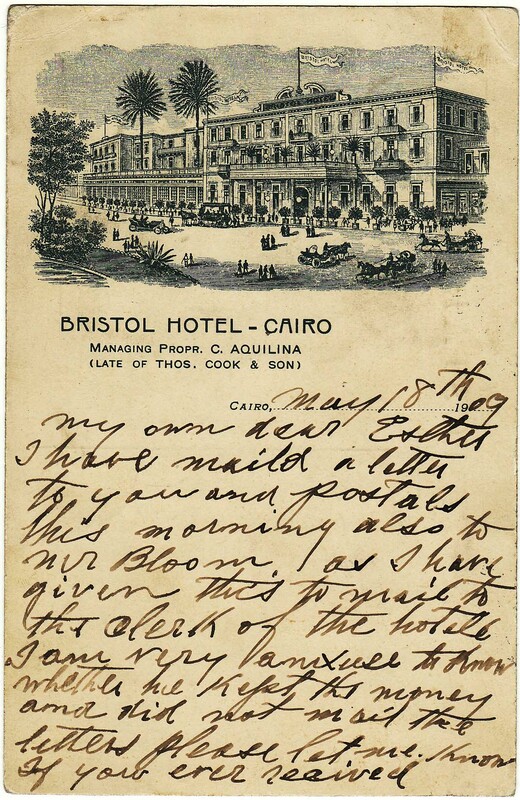 Not long after, Nungovich learnt that a British regiment had arrived in Cairo unexpectedly with no accommodation arranged. 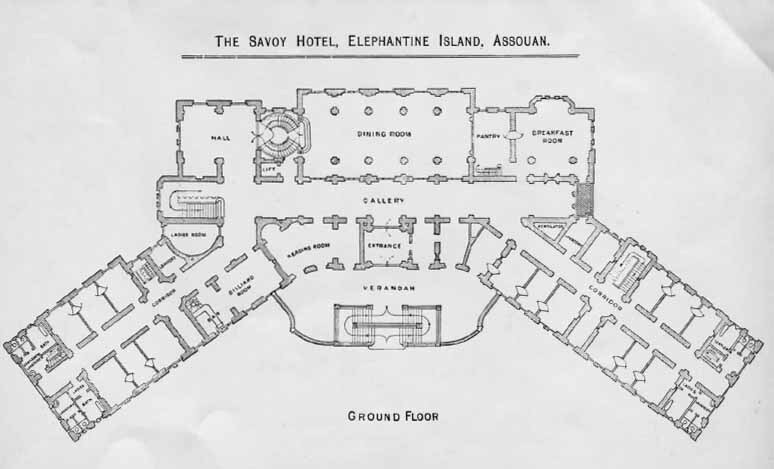 He rushed over to the station and offered to take all the ofﬁcers at his hotel. 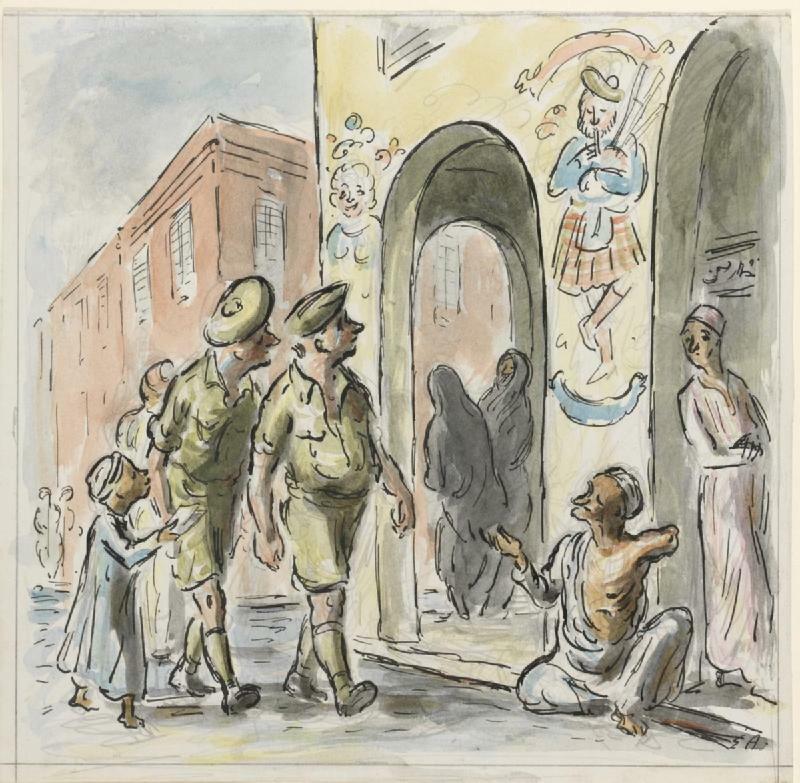 When they were leaving and requested their bill, Nungovich refused to issue one, saying that he was only too honored to have had the ofﬁcers of the British Army as his guests. 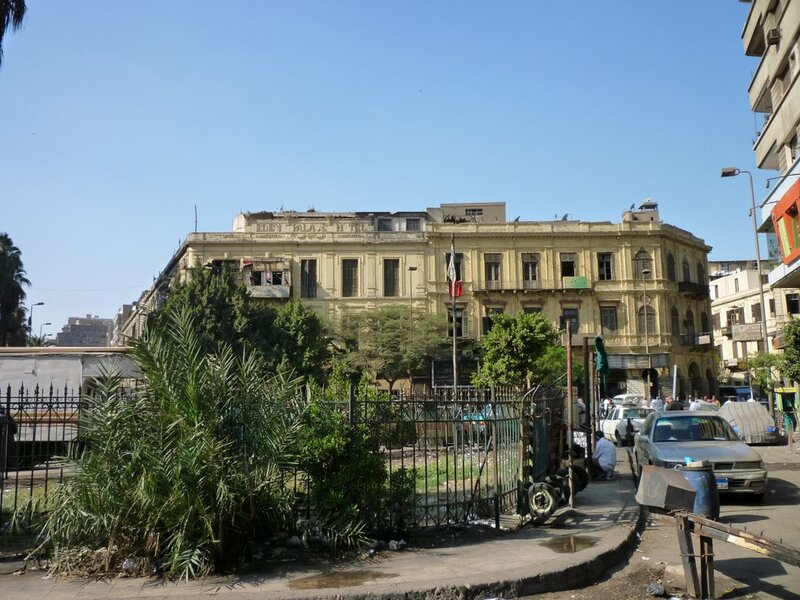 It was a shrewd bit of PR that ensured his popularity with Her Majesty’s subjects, who were at that time pouring into Cairo, both in uniform and civilian attire. 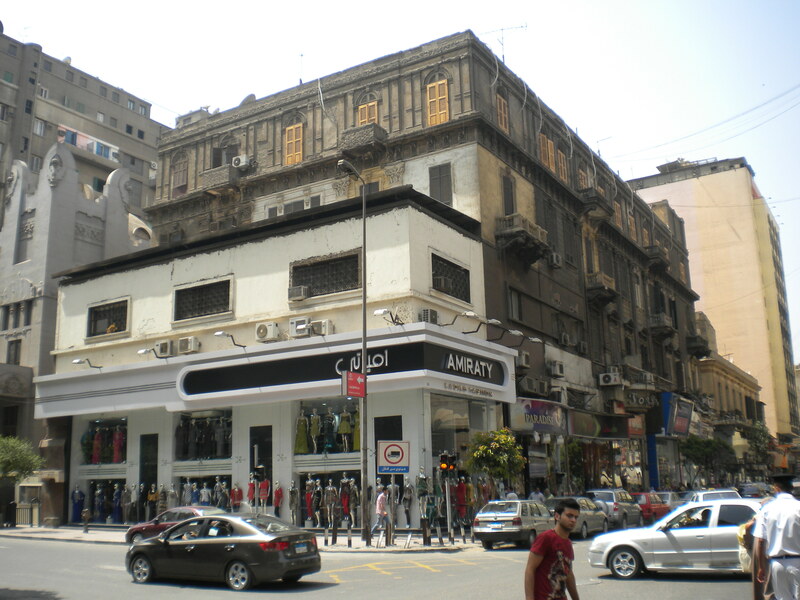 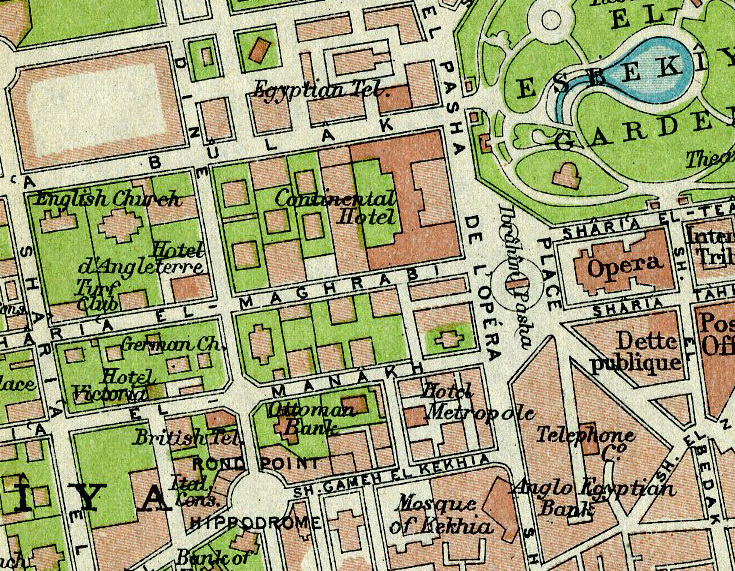 In 1894, the year after he moved the Angleterre to its new Adly Street premises (above), he was able to add a second Cairo hotel to his portfolio, which was the Continental on Qasr al-Nil Street; when the lease on this building expired he moved the business to new, far larger premises, reflected in the new name, the Grand Continental (the hotel was later renamed the Continental-Savoy, which I wrote about last post). 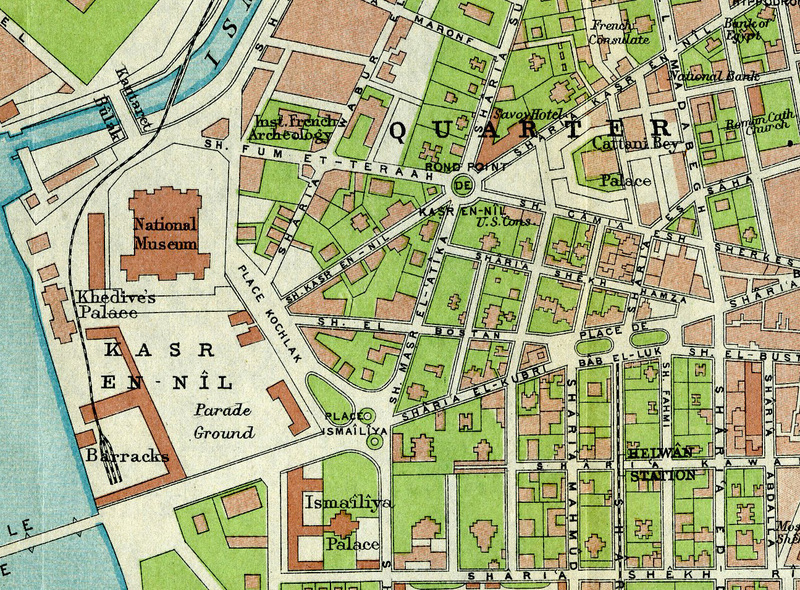 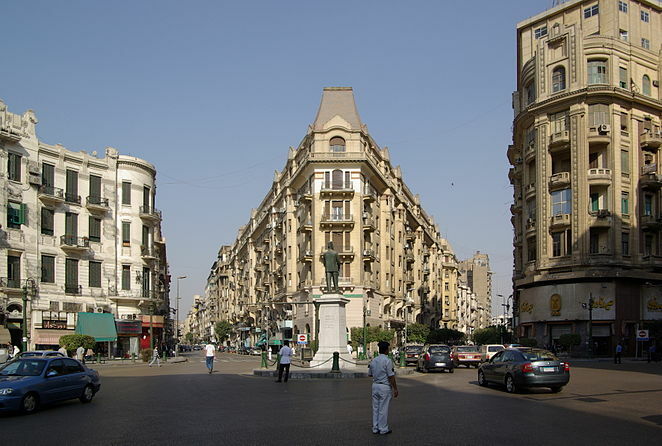 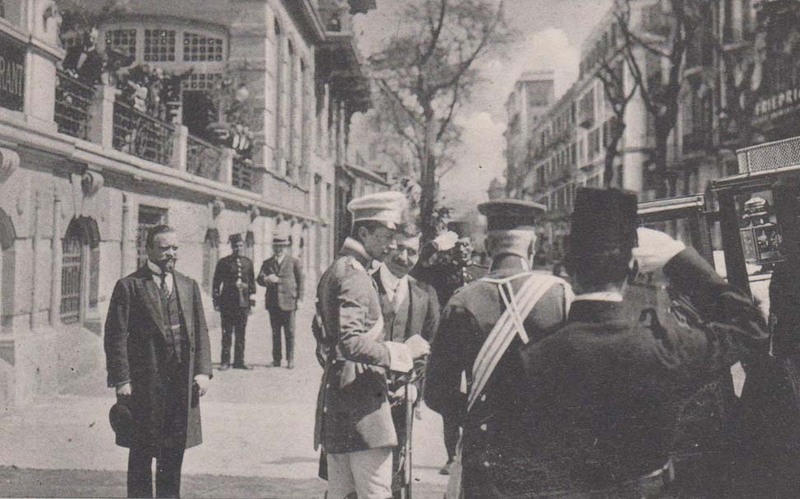 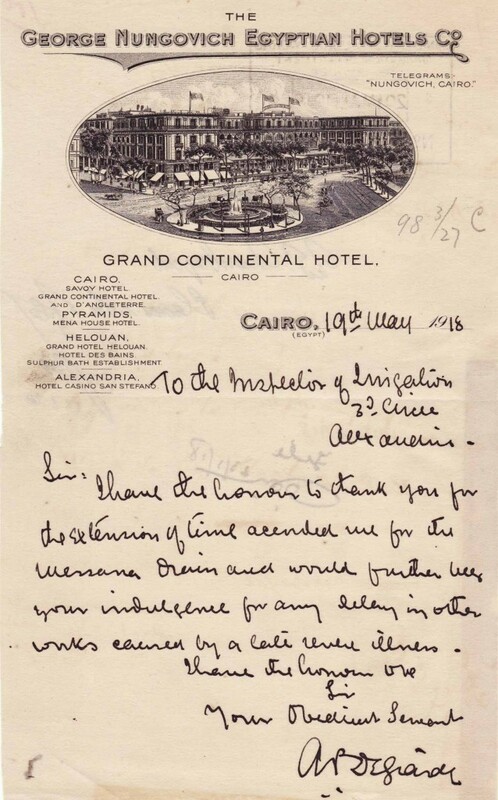 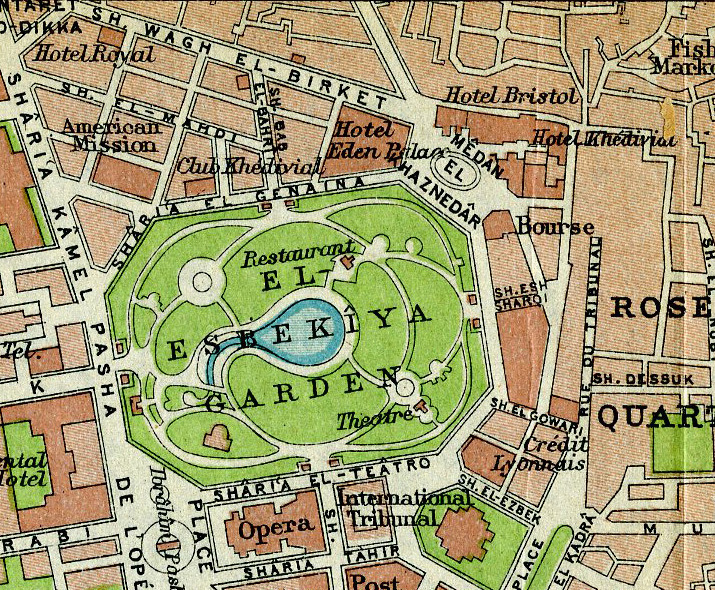 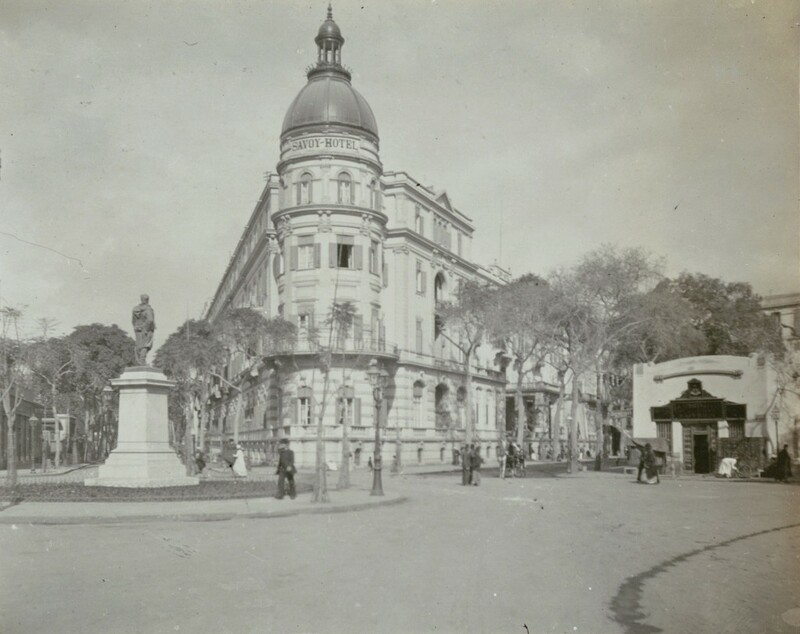 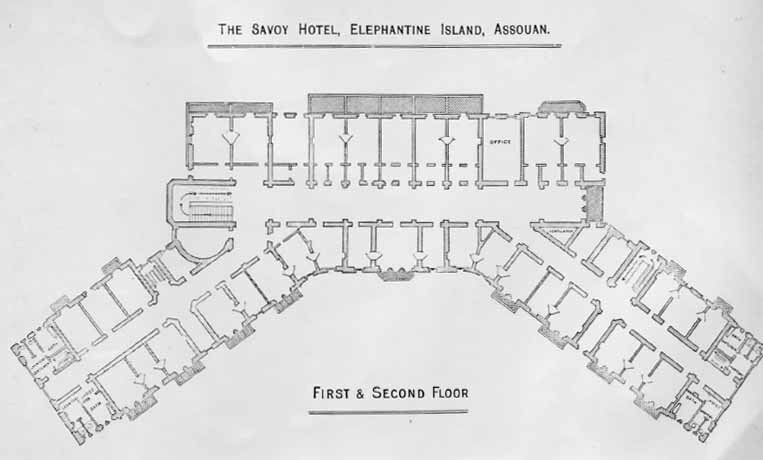 By the time of the letter at the head of this post, Nungovich’s empire numbered eight establishments, including the Savoy Hotel, also in Cairo, which he built in 1898, the San Stefano in Alexandria, which he bought in 1900, and the Mena House out by the Pyramids, which he acquired in 1904. 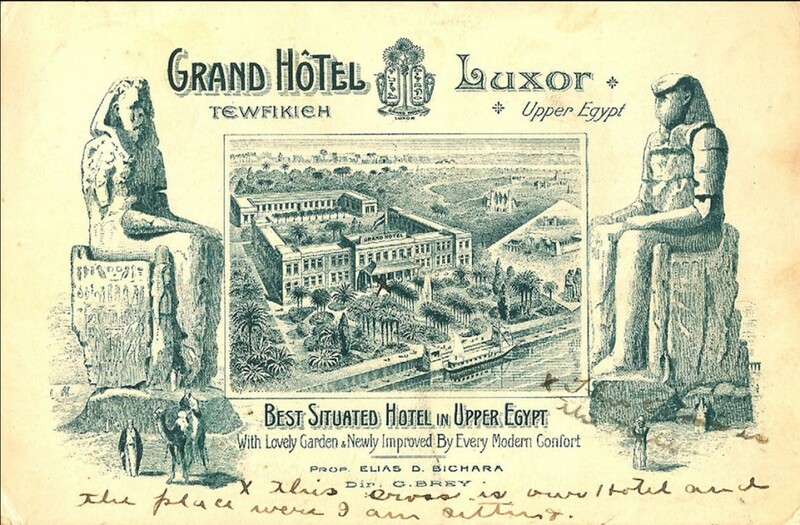 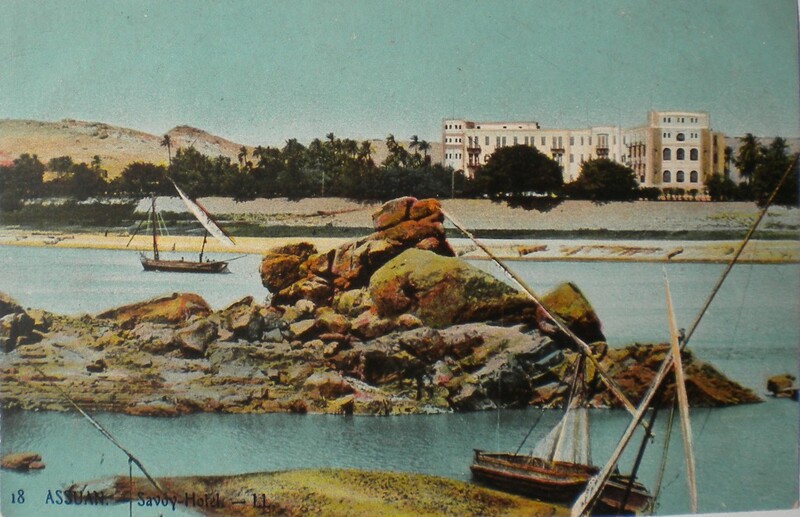 By the early years of the 20th century – boom years for Egypt – Nungovich’s interests had outgrown the hotel business, and he was speculating heavily in land, property and shares. 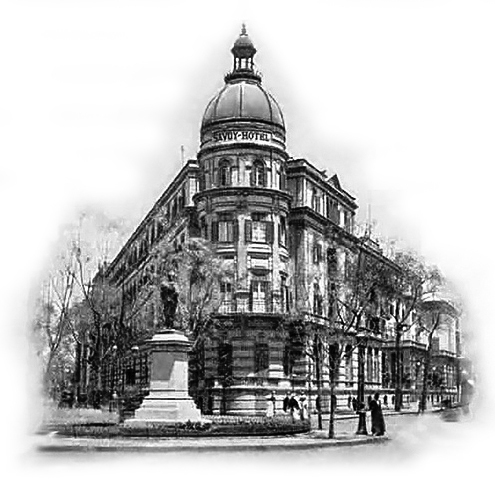 The slump when it came, came quickly. 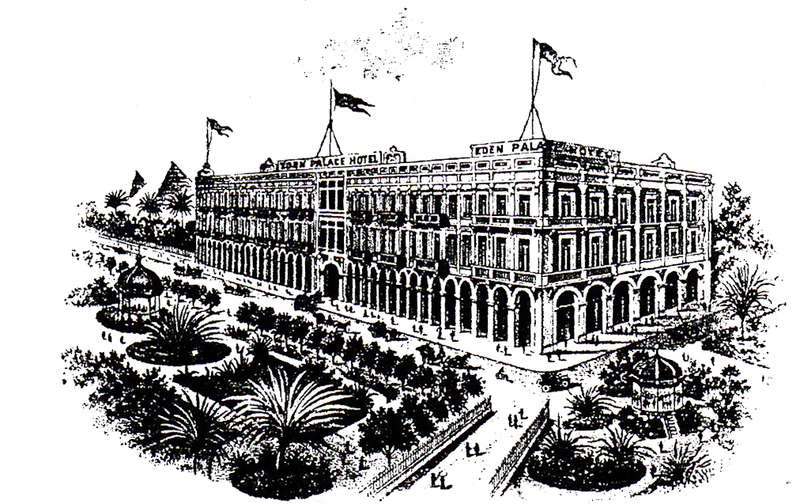 The panic of 1907 began in New York but the shock reached even Egypt, where shares on the stock market plummeted. 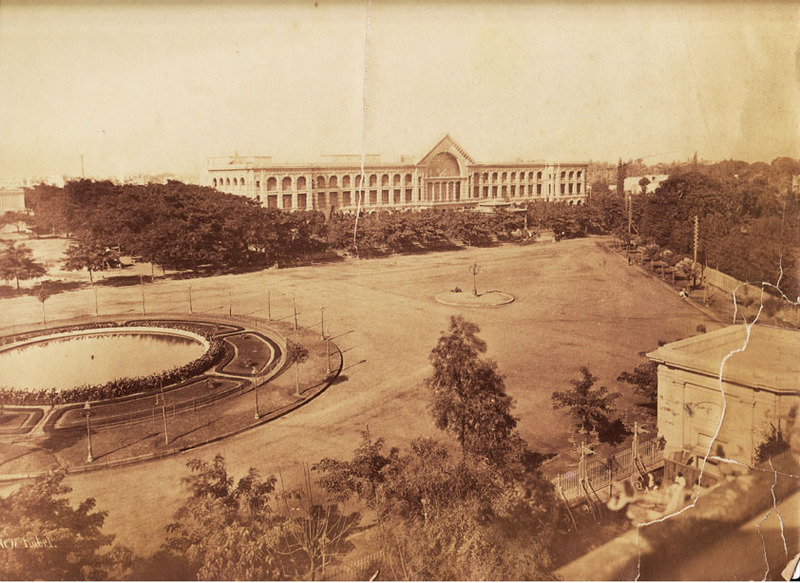 Millions were lost and lives ruined. 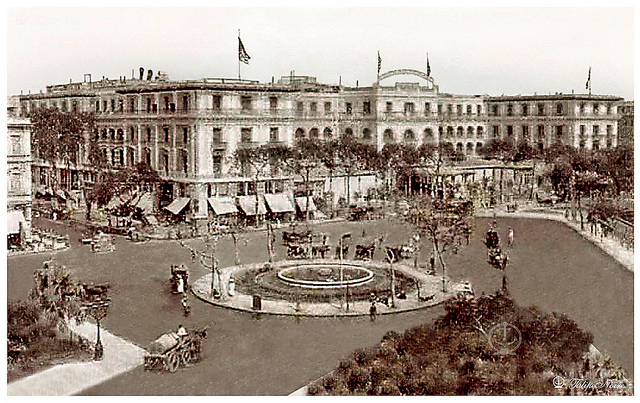 A no-longer wealthy George Nungovich suffered a heart attack in summer 1908 and died. 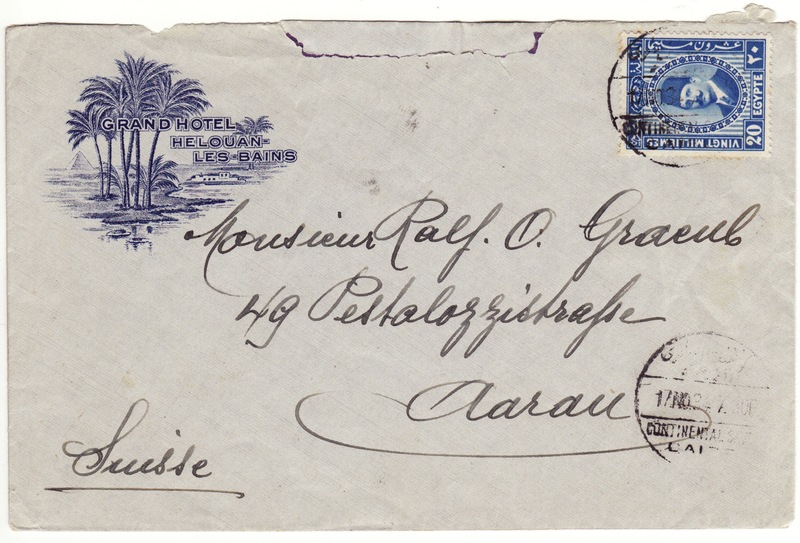 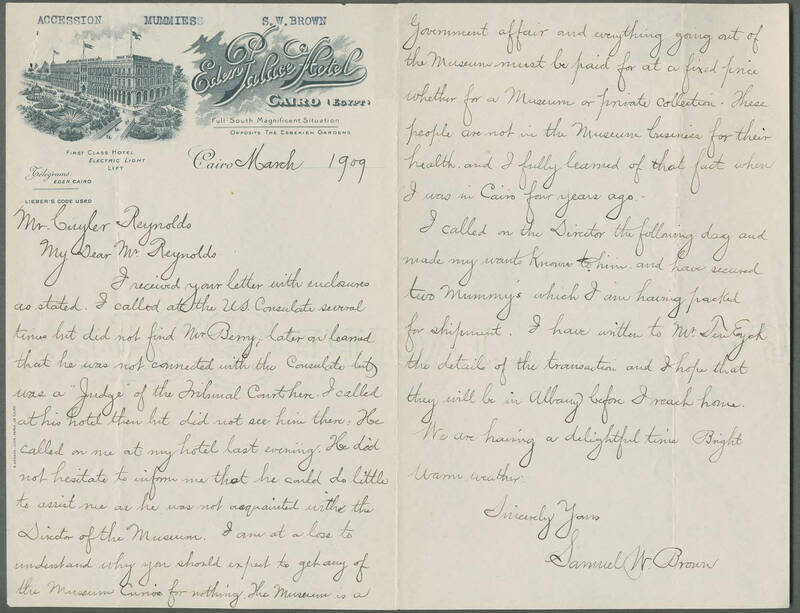 His hotel empire passed into the stewardship of a protégé, Auguste Wild – his name appears as General Manager on the letterhead above – before being bought out by Charles Baehler. 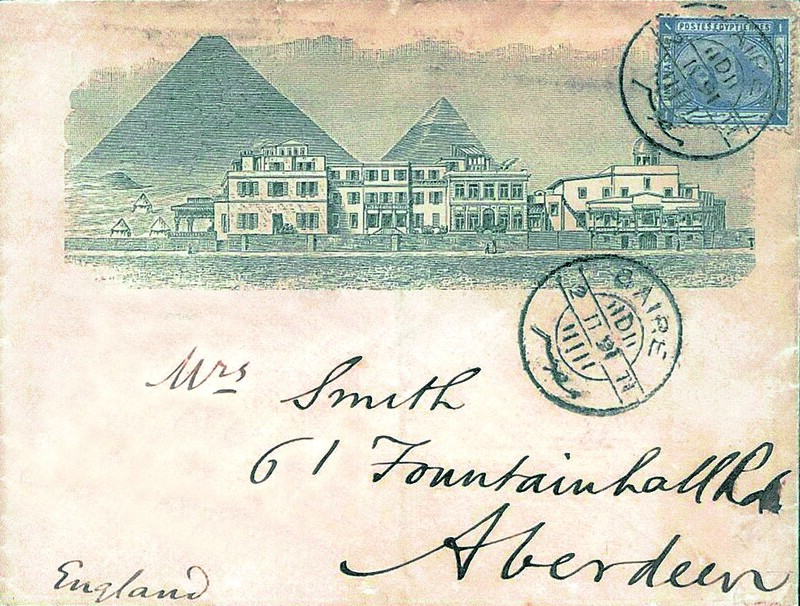 If you compare this photograph with the postcard above, you can just about recognise the Angleterre under all the clutter. 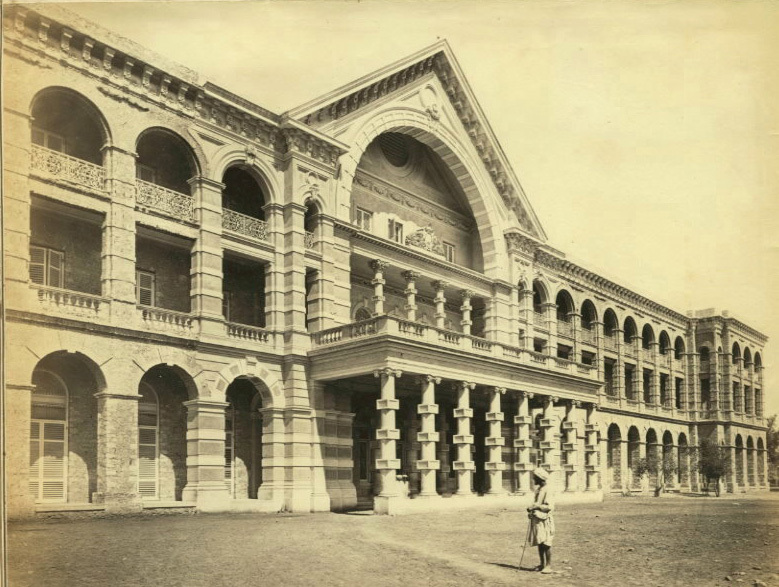 A clothes store occupies the space that was the front terrace and portico, and the other street façade has been obliterated at ground and first-floor level by more shop fronts and ugly, ill-mannered signage. 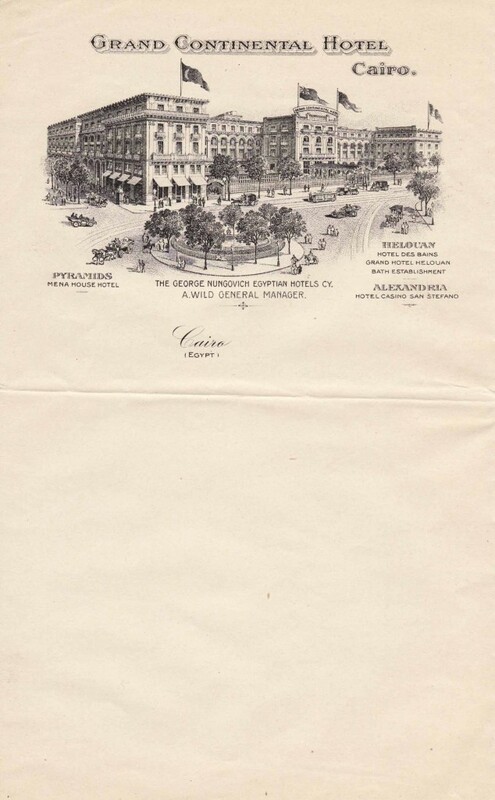 Perhaps the name of the man who was once called ‘the Napoleon of hoteliers’, George Nungovich, means nothing any more, but really, no building should be treated with such disrespect.